Agriculture is vital to Malawi’s economy but the country has struggled to increase agricultural productivity. One reason is that smallholder farmers, who often farm as little as half an acre, lack both farming expertise and money for inputs. Borrowing from banks is not really an option as interest rates are over 50%. 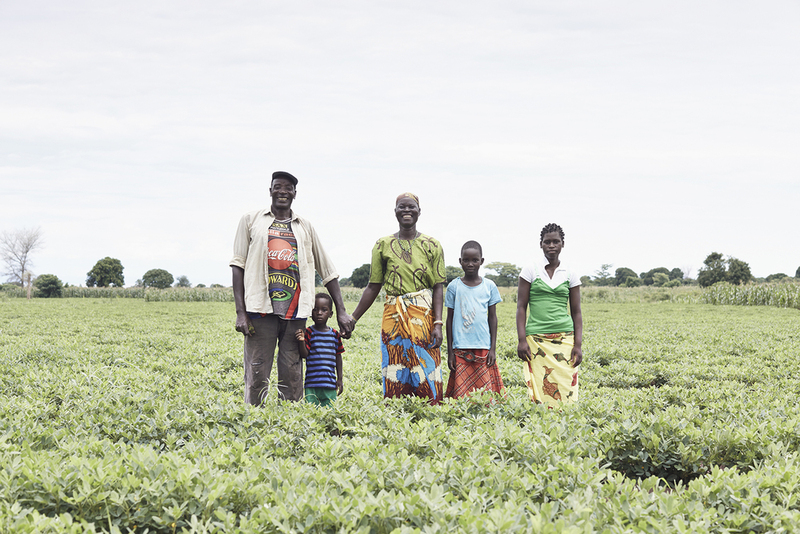 To help counter this, MEA has invested in two medium sized core farms in central Malawi which act as a source of advice and funding to neighbouring farmers. Apart from growing their own crops, each farm employs outreach workers who train neighbouring smallholders in basic techniques. The two farms also provide smallholders with seed and fertiliser which the latter can repay after harvesting. After the crops are harvested, smallholder farmers have difficulty in getting a fair price for their crops as they have little market clout and are at the mercy of middlemen. Both AIMC and Virelishama offer to buy the smallholders crops at a fair market price and then on-sell to large buyers. Any margin earned on this transaction goes towards meeting the cost of the outreach workers. We always intended to use the AIMC farm as a base from which we could work with our neighbouring smallholders. And from the very beginning, smallholder farmers came to us to ask for our help. Recent reports on the worldwide food supply emphasise that increasing the productivity of smallholder famers is essential not just to relieve poverty but also to meet the world’s growing need for food. The problem is that the world has not yet ‘joined up the dots’. A typical smallholder farmer does not have money to buy seed and fertiliser and is often cheated by middlemen who buy his crop at rock bottom prices. MEA currently works with around 1000 smallholders. We provide seed and fertiliser for the staple food crop maize and also for the families’ cash crops such as groundnuts or beans. However we do not stop at that. Our experienced agriculturists continue to give help and advice throughout the growing period. And then at harvest time, we will offer the farmers a market for their crops which will be above the local prices offered by ‘middlemen’.